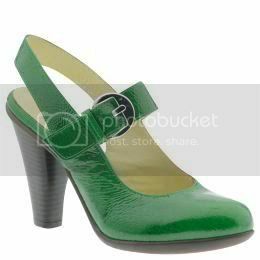 Hi, My friend came home from Colorado wearing You’s green venice heels. She claims they are comfortable, they looked cute with her jeans on, but I am hesitant! I had to share with some of my fave shoe blogs to see if any had actually tried them?! www.youbycrocs.com Love your site! Dear Meg, Since your email address is meg***@crocs.com, and your I.P. address is from Colorado (Croc headquarters), we can only assume that you are a Crocs employee trying to plug the You by Crocs line. How many other shoe blogs did you email? We would have gladly showcased the shoes if you just asked us nicely. Anyway, I kind of like them myself, but would never pay $175 for them (available from Piperlime.com).